BRAND NEW!!! 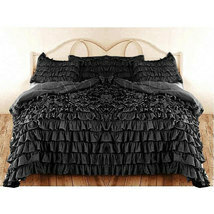 This is a high quality Duvet cover set which is made of cotton with chiffon ruffles all over it. You can insert your duvet or comforter inside this duvet cover. Size: TWIN \ TWIN XL, Full / Queen. King, Cal King, Any Other size you want Color: BLACK Type: RUFFLE Duvet Cover Set 3pc DUVET COVER SET INCLUDES *1 Duvet Cover *2 Pillow Cases Size - King / Cal King - 106" X 90" with Pillow cover 20" X 36" Full Queen - 90 X 90" with Pillow cover 20" X 26" Twin / Twin XL - 68 X 90" Pillow cover 20" X 26" RUFFLE STYLE DUVET COVER and PILLOW SHAMS!! 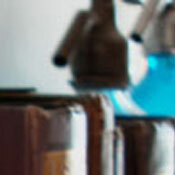 Postage through DHL PRIORITY Mail Service!! Tracking of the Packages is available MORE COLORS available too. Please contact us for other colors.